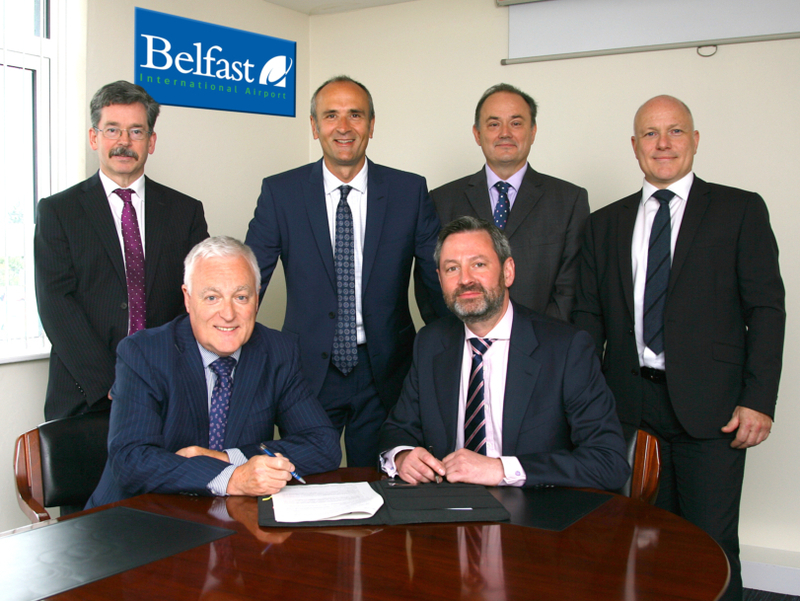 NATS and Belfast International have worked together for many years but this contract signals the start of a strategic partnership, which will ensure the continued future success of air traffic control and engineering services at the Airport. The agreement runs from 1 July 2017 to 30 June 2026. It involves a full team of controllers and an onsite team of engineers being present at the Airport for the duration of the contract. The Airport has witnessed record passenger growth over recent years, which exceeded 5.4 million passengers in 2016. Traffic is still on the rise and the airport is expecting to handle 5.7 million passengers in 2017. Belfast International Airport Operations Director, Alan Whiteside, said: “This very sizable contract underlines our belief in the quality and professionalism of the service we receive from NATS. We confidently anticipate further passenger and aircraft growth, and with increased activity levels comes greater reliance on air traffic controllers who play such a pivotal role in our overall operations. One of the first key deliverables for NATS has been the introduction of electronic flight strips earlier this year, replacing the paper strips that have been used previously. This reduces the controllers’ workload and increases capacity. It is the first ‘Hub and Spoke’ project delivered by NATS in the UK – where the servers are located at NATS’ Swanwick Control Centre in Hampshire and the data is fed to the airport unit.